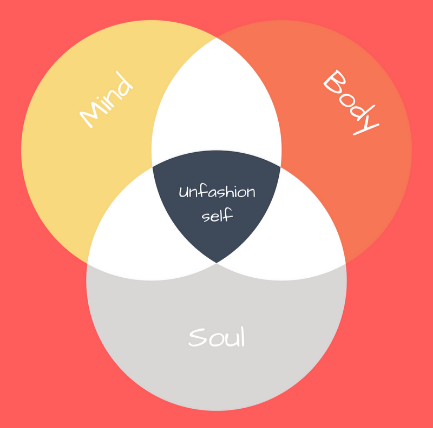 The expression "unfashion yourself" came to me awhile ago when I started to realize apply the exactly option of everything I ever learned. Yes, you read correctly. I actually applied the exact opposite and the result was amazing. Therefore I came to a conclusion, instead of following the "fashion" I decided to "Unfashion myself". When we talk about life is very important to include mind, body and soul. Leaving one of them on the side will be like swimming upstream. This coaching program includes all 3. We will work on your deepest layers, so you can simply crush what you thought it was a limit. Life is too short not to follow your dreams, so let's get unfashion and reach your highest potential. Are you ready to get unfashion? 6 weeks coaching premium includes weekly meetings, unlimited email/text, and Unfashion yourself full program. Unfashion yourself full program, 1 meeting for Q/A.